CNM Technologies is a German high tech company, which is specialised on the development, production and marketing of Carbon nanomembranes (CNMs). Our base with research and development activities is Bielefeld. 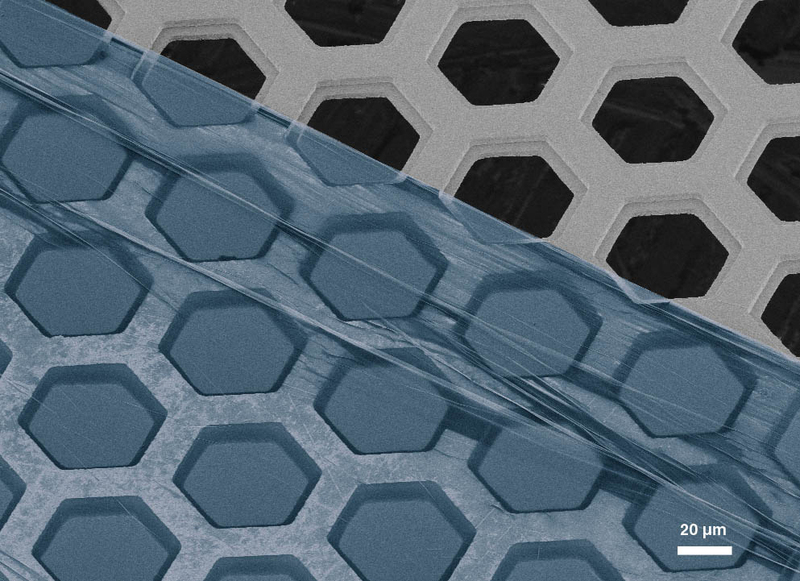 Carbon nanomembranes are ultimately thin: they are manufactured from a single layer of molecules with a thickness between 1 and 5 nanometers. Thicker membranes can be produced from different precursor molecules or by stacking of several individual membranes. Our CNMs can be used in various applications ranging from gas separation, ultrafiltration of gases and liquids, filtration of radiation, protection against corrosion, and as active elements in sensors. CNM Technologies holds a broad portfolio of patents and patent applications protecting fabrication, handling and modification of CNMs as well as several applications. We are working in a close network of partners including distinguished research institutions, universities and industrial laboratories in several European countries. Scientists at CNM Technologies were successful in transferring the academically proven separation performance of Carbon Nanomembranes (see Yang et al., ACS Nano 12, 4695 (2018)) into a concept for high-performance waterfiltration membranes.